I hadn't climbed for months. I worked long hours at a job I didn't like. 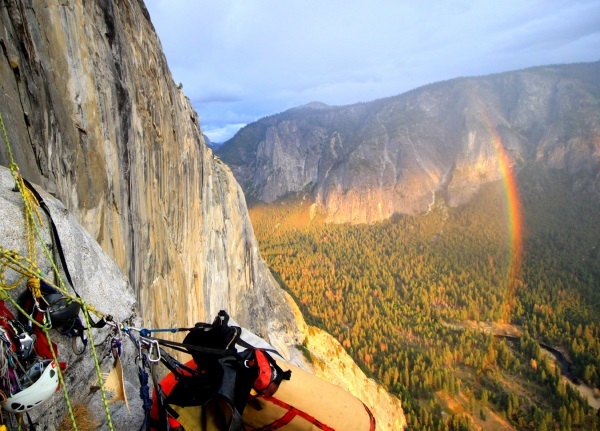 I lived vicariously through the stories of other climbers. My life had become incredibly safe. But it had also become exceptionally boring. Something had to change. I wanted to live, rather than just exist. I wanted to do something exciting, something challenging, something scary. So I chose to climb an enormous rock. I chose an incredibly dangerous route. And after 16 days alone on the wall, I succeeded at finding fear. 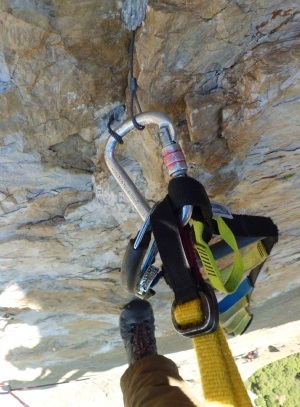 Soloing a big wall involves a complex use of ropes and gear, which basically means climbing everything twice. The first two pitches were characterized by a jenga-tower of ever-changing granite blocks and flakes. Sections of chopped rope and torn sling marked the path of previous epics and nightmares. Driven by the irony of being too scared to achieve my goal of doing something scary, I decided to climb around these pitches on more solid rock. 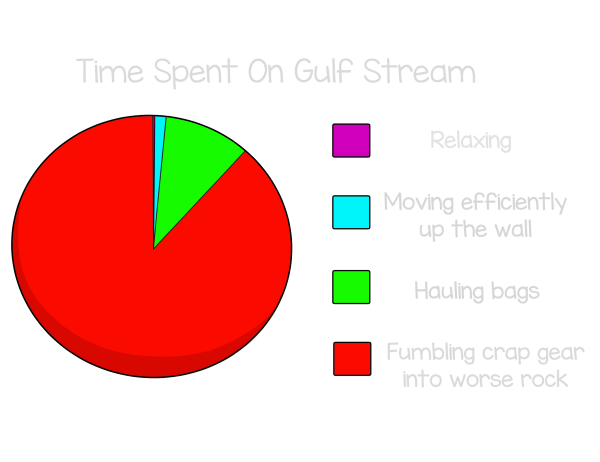 But inevitably, the mystery features I followed soon merged into Gulf Stream, where the rock suddenly became less like granite and more like cheese. Some pitches had interesting free-climbing moves. 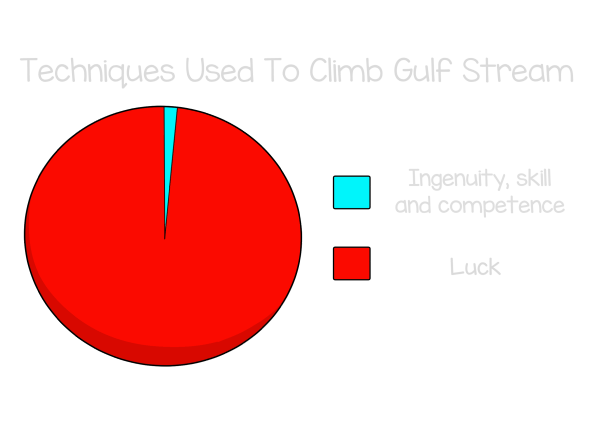 But it was mostly good old-fashioned aid climbing. 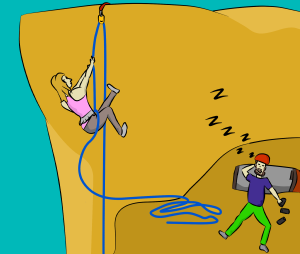 Aid climbing takes a long time, not many people like it. But I do. I enjoy hooking loose flakes. I'm totally psyched when I top-step from the hook and hammer some copperheads into a flared seam. And when I stretch up from the copperhead and find a hidden rurp slot, I feel tiny orgasms in my fingertips. 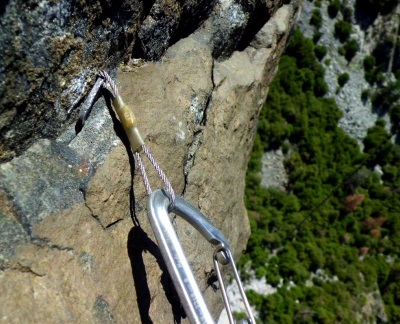 Unfortunately, the crux pitch required over 20 consecutive moves like this. I began to crave some solid gear. I had got myself in a rather delicate predicament: I had to commit to the next hook. But if I committed, it would probably fail. 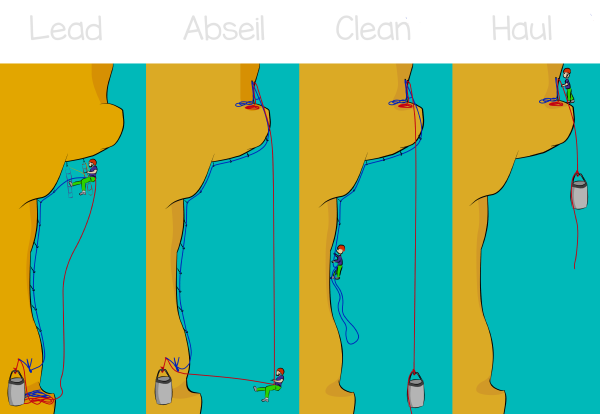 And if it failed, the sudden movement would certainly cause the hook I was hanging from to fail too. Which would cause me to fall. 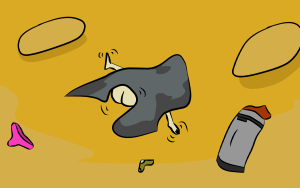 But it had been 4 or 5 hours since I last placed any gear that would even hold a falling loaf of bread. I couldn't move up, I couldn't stay still and I certainly could not lower off. I was thirsty, hungry and exhausted. And it was going dark. And I desperately needed a poo. It's true that you don't need to endanger your life to be in 'the present moment'. But it certainly enhances the experience if you do. 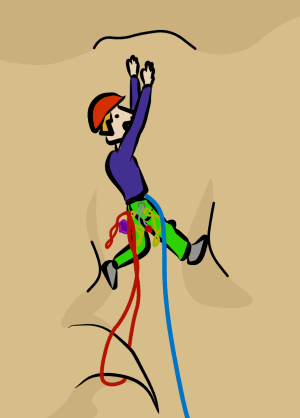 Reduced to a gibbering wreck, I eventually reached the belay. 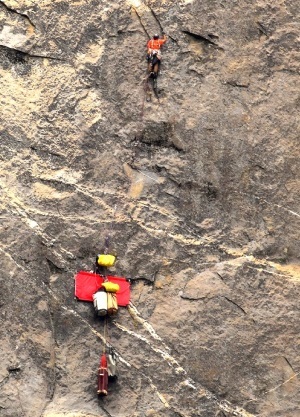 Another day, another pitch up the wall. I'm not a speed climber. A large roof is the final hurdle of Gulf Stream. Beneath this roof, with only 5 feet separating me from the summit, I heard a noise. A voice. Patiently waiting for me to fumble through the final moves, was my girlfriend. 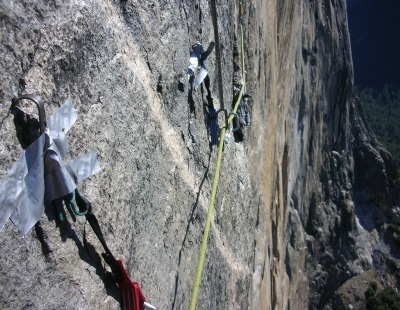 In the time that I'd been on the wall, she had also soloed an El Cap route. But she had reached the summit a week faster than me. It was awesome to see her. Except we couldn't quite see each other; I still had one move left to get through the roof. I had 150 pieces of aid gear hanging from my harness but none of the bastards would fit in that final flared slot. 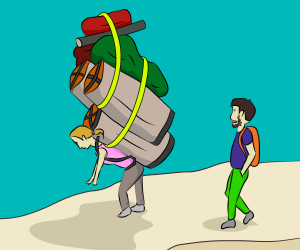 After thousands of aid moves, why did the last one have to be the hardest? I eventually managed to get three pitons to each hold 1/3 of my body weight. I equalized them, clipped my aiders in and surmounted El Cap with the grace of a beached whale. ...and carried it down to the valley. I'd started the climb in pursuit of fear. And I certainly found plenty. Though the hardest and scariest part for me was right at the beginning; committing to the climb. Climbing out of my comfort zone was harder than the climb itself. But I knew that if I made excuses and postponed the climb, my comfort zone would shrink even more and I'd probably never do it. I highly recommend that you go out there and scare yourself. But just remember; it's a fine line between finding fear and finding yourself in a coffin. Learn the necessary skills, practise them well and choose your routes carefully. And most importantly, remember to have fun!